Be ready for the biggest Gashapon station in Indonesia!! 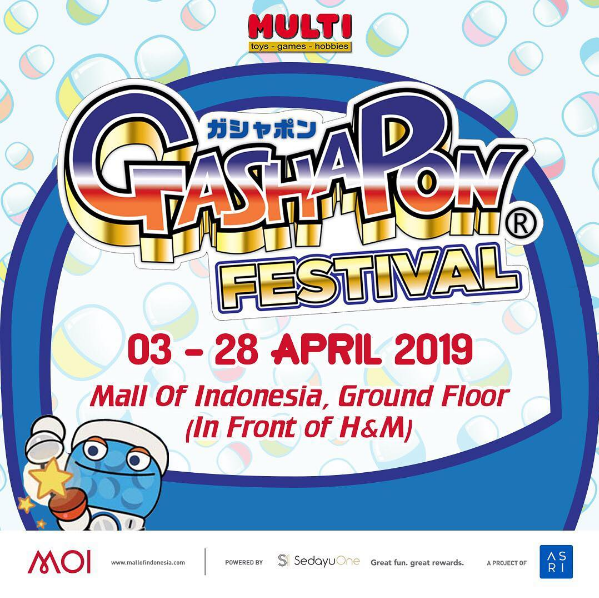 Mall of Indonesia present to you Gashapon Festival, 3-28 April 2019. Get special discount and try your luck with the lucky wheel.